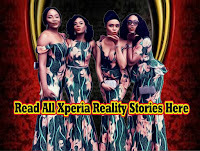 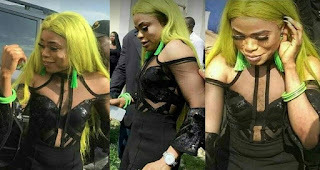 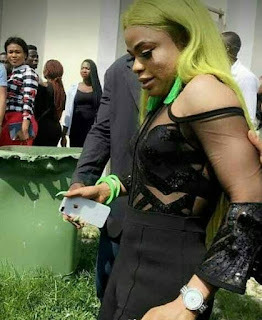 Controversial online personality, Bobrisky is looking less than perfect without the aid of photo shop in some new photos that has surfaced online. Bobrisky, who turned up for an event over the weekend, had unedited photos of him taken and it has long gone viral on social media. 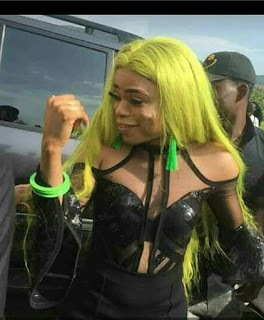 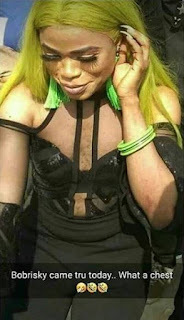 The Nigerian cross dresser came through with hairs on his chest and also served some skin goals at the event.